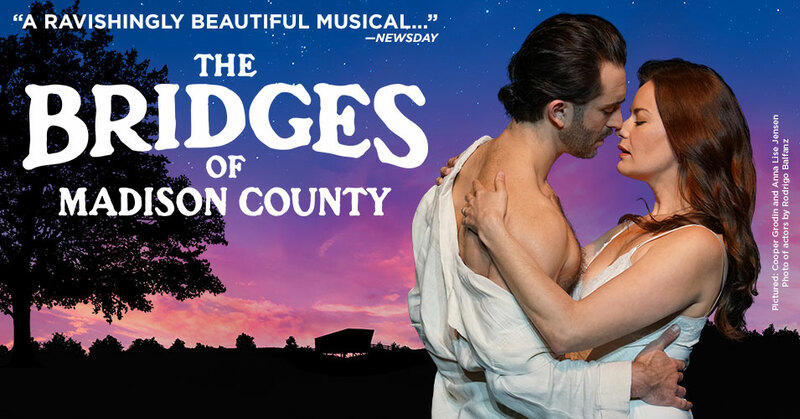 The Bridges of Madison County, winner of two Tony Awards, tells the story of Iowa housewife Francesca Johnson and her life-changing, four-day whirlwind romance with traveling photographer Robert Kincaid. Featuring gorgeous, soulful music by Tony Award-winning composer Jason Robert Brown (Parade, The Last Five Years) that draws upon the rich textures of Americana and folk and the sweeping, expressive balladry of classic Broadway, it’s an unforgettable story of two people caught between decision and desire, as a chance encounter becomes a second chance at so much more. ONLY running through Feb 4!